Quiet Clubbing invades a new club Transmission in Jersey City! 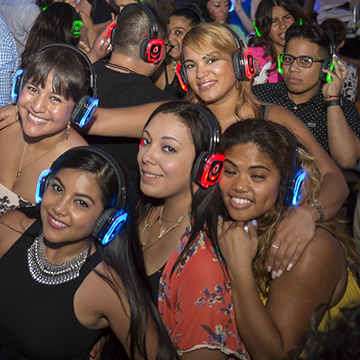 3 Live DJs, hundreds of people singing and dancing all night while wearing glowing headphones. The party kicks off at 9.30pm when the headphones go on and DJs take the stage. They’ll be spinning everything to keep you singing, drinking and dancing till 2am!